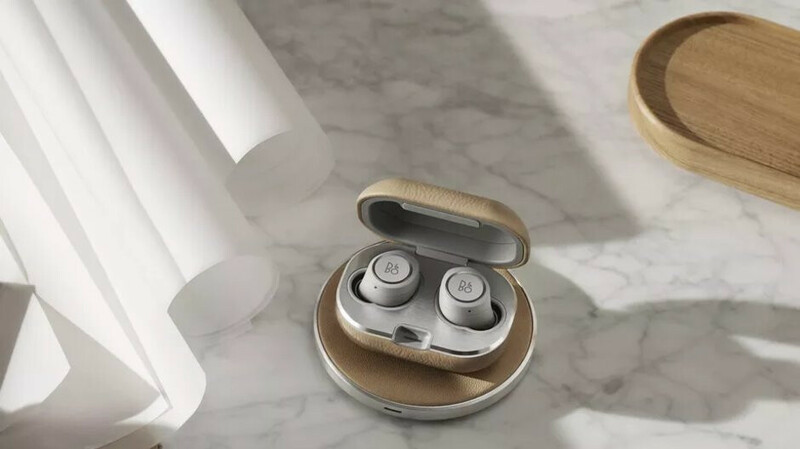 Bang & Olufsen makes pretty sweet high-end audio products, including some of the best-reviewed “truly wireless” earphones available today, but if you thought Apple’s AirPods were expensive, wait until you hear how much the fancy new Beoplay E8 2.0 are set to cost. As the name suggests, these follow in the footsteps of the first-generation Beoplay E8, which carry a recommended retail price of $299.99, although Best Buy currently charges “only” $213.99. That’s still a whopping 55 bucks or so more than the industry-leading AirPods, while the Bang & Olufsen Beoplay E8 2.0 will fetch $350 starting February 14, according to The Verge. The price hike compared to the original model doesn’t appear to come with a redesign or internal upgrade of the actual earbuds. Instead, it’s the included charging case that gets a major bump in capabilities, gaining four extra hours of juice. All in all, you can get 16 hours of listening time from the Beoplay E8 2.0, with four hours of power offered by the earphones, and three additional full charges provided by the improved case, up from two on the existing Beoplay E8. More notably, the Beoplay E8 2.0 case supports wireless charging, which is something Apple’s AirPods cannot do... just yet. The standard USB port is also replaced with a Type-C connector if you have a thing for cables, but otherwise, these premium wireless headphones seem to have gone unchanged. Owners of the Bang & Olufsen Beoplay E8 1.0 should be happy to hear the wireless charging case will be available on its own as well... for a sky-high $200, with a no doubt extravagant wireless charging pad offering up to 10W speeds also coming in April at an unspecified price. Did B&O just manage to unintentionally build up even more hype for Apple’s long-awaited refreshed AirPods? $200 is "sky-high" for an actual reputable audio-company, but $160 for cheap plastic earbuds with some added tech is A-ok -- even "industry leading"? Sigh. Enjoy your products people, I have no problem with that. Just wish you weren't being constantly misinformed. IKR, they literally have no idea about bang-olufsen build and sound quality. TBH Bang & Olufsen and reputable audio company is a bit of strech. Sure they are better than most of the Apple or Bose can offer, but competition to lets say Sennheiser or AudioTechnica they are not, not even close. I guess you could say they excel in different areas. Yes I go with Sennheiser, or B&W, or potentially something else over B&O for headphones. But they are an audio engineering company, and have well regarded speakers as well as high end car audio systems. Wish my car had B&O as an option instead of Harmon Kardon.